Slow TV might be new here, but we've taken to it strongly. MY favourite headline last week was this gem from The Courier Mail - 'They won't do that aGhan'. 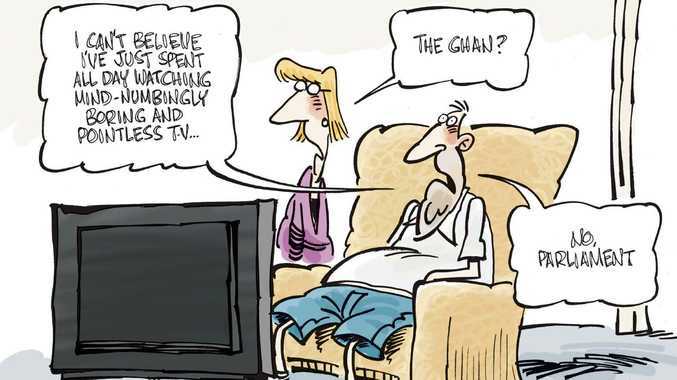 Although, given the chatter SBS's 'slow TV' experiment has garnered over the past week, I rather suspect they might. Do I understand it? No. But I do know I spent at least at an hour at my parents' place at the weekend watching it and discussing it with them (granted, the conversation went along the lines of 'why are we watching this?' and 'is anyone else watching this?' and 'My God, this is so boring! ', yet were were watching and discussing nevertheless). Only in a nation where we can sit in front of the TV watching men standing around getting sunburned on a paddock and talking about seagulls (otherwise known as cricket) and call it entertainment could a people be so entranced by footage of a train rumbling through a monotonous landscape. I say that because it amuses me, but it turns out that's probably even less true than The Courier Mail's headline. Slow TV, as we now know it, has been around nearly a decade now. It began in Norway in 2009 with, as here, a train trip - although that seven hours on the Bergen Line seems a bit puny compared to SBS's 17-hour Ghan epic. However, according to Wikipedia, the concept goes back even further, kicking off in 1963 through Andy Warhol and a five-hour and 20-minute film of poet John Giorno sleeping. It sounds like the sort of thing malicious university lecturers use to torture first year film students, yet now it's a thing. Since 2009, Norway has been treated to such delights as eight hours of a live fireplace, 12 hours of knitting, and, on one memorable occasion, a 134-hour coastal voyage from Bergen to Kirkenes, which was apparently viewed by half the nation's population.